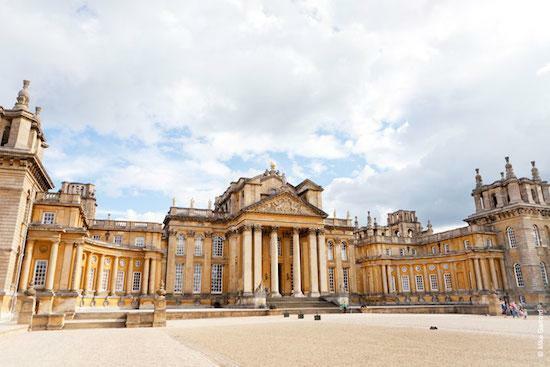 Blenheim Palace, in Oxford, has been hosting functions for many years, including concerts (Jamie Cullum no less! ), an annual literary festival, film crews (both The Young Victoria and Hamlet were filmed there) and of course weddings - including many celebrity weddings. If you choose to get married there you can literally play Duke and Duchess for the day. The palace, one of England's largest houses, was built between 1705 and circa 1722 and is unique in its combined useage as a family home, mausoleum and national monument. Moreover, it is notable as the birth place and ancestral home of Sir Winston Churchill. Both the history and the building itself take your breath away! And set in 2000 acres of 'Capability' Brown's magnificent landscaped gardens, it is the perfect place to create your ownfairytale celebration. Blenheim offers a variety of different settings and rooms, and whether you prefer a traditional or contemporary style wedding their dedicated team of wedding planners are on hand to help you create your dream day! We've never been to Blenheim but would love to go to a wedding there (just in case anyone is thinking of asking us..!). If you want to know more about Blenheim then go to their listing on the site.